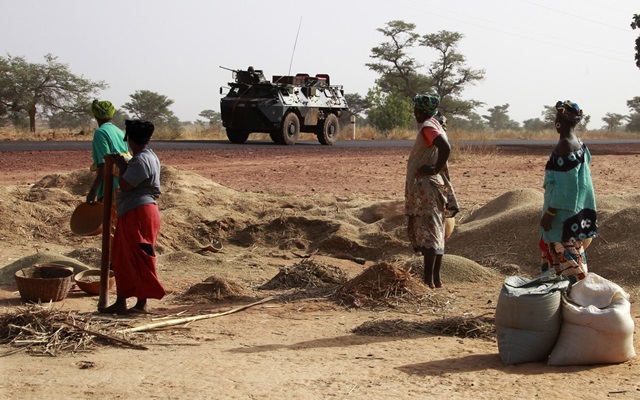 It has been three weeks since the beginning of French intervention in Mali. The largest northern towns have now been seized by the French Malian coalition. Today, a few questions emerge as to what happens next. In January 2012, the National Movement of Liberation of Azawad (MNLA), an independence Touareg movement, launched an attack against the Malian army. With the help of Ansar Dine, a Touareg Salafist group, they quickly won key towns in the northern part of Mali (Gao, Timbuktu, Kidal). In April 2012, the MNLA declared the independence of Azawad, which was rejected by Ansar Dine whose goal was to establish an Islamic Republic in the whole Mali. At this moment Al Qaeda in the Islamic Maghreb (AQIM) and the Movement for Unity and Jihad in West Africa (MUJAO) entered the scene. They formed an alliance with Ansar Dine and ousted the laic MNLA. The most violent interpretation of the sharia law was enacted, leading to many brutal acts, as seen on many news networks. Rebels decided to make further advance towards the south of Mali early in January 2013. The Malian president promptly asked help from France in order to protect Bamako, capital of Mali. A French Malian force intervened in a matter of days and recaptured Timbuktu, Gao and Kidal. The latter town had also been recently reoccupied by the MNLA and the supposedly moderate Islamic Movement of Azawad (MIA), a dissident group from Ansar Dine that fled alongside AQIM and MUJAO towards the extreme north of the region. As a first and simple conclusion, this situation would have never occurred if there hadn’t been an on-going Touareg issue since decolonization. At the creation of newly independent states in the sixties, the Touareg had spread within several countries, including Mali and Algeria, and were denied an autonomous area. Another simple statement: if Kadhafi hadn’t been removed from Libya following the French-led intervention, the Touareg troops working with the late ruler wouldn’t have moved towards Mali with their army gear and again the conflict wouldn’t have started. Now the French army is well positioned in the main cities of the north, it is supposed to progressively pass the torch to an African-led army that will eventually be in charge of securing the area. It will prove a difficult task as AQMI and its allies have fled in various parts of the region. Mountains and deserts dominate in the area, which could lead to a long guerilla type of warfare. Another issue points to civilian populations, and most notably the protection of lighter-skinned populations. The conflict has created yet another wave of refugee displacements. Many human rights organizations have also reported abuses against Touareg and Arab people, as an act of retaliation. The Malian authorities and a part of the population consider the MNLA, and Touareg populations at large, to be responsible for this situation. A year ago, acts of violence had already appeared against lighter-skinned populations in southern parts of the country. Most Touareg, Moors and Arabs had to flee their home. Further, the Malian parliament voted against any kind of negotiations with any independence groups (i.e. MNLA). The existence of MIA is not even acknowledged, as its members are seen as terrorists and mere opportunists in the face of the recent shift of power at play. It would actually be wrong to label the MIA (and Ansar Dine for that matter) as a terrorist organization. Unlike Al Qaeda, they haven’t attacked other countries or abducted any people. They’re arguably not this different from radical groups anywhere in the world, including western nationalist movements. No negotiation would be a terrible mistake from the Malian authorities, as this situation has been the result of a lack of communication between the different ethnic groups of the country. Further clashes will not likely help to resolve the issue, on the contrary. Dialogue is what is desperately needed. MNLA have said they’re open to discussions. So is the MIA. What do most people want? Very likely the end of endless conflicts. That is probably the only point they agree with. The region’s population is made up of many communities. As I mentioned in a previous article there is no “the Touareg want”, or “the Arabs want”. These people, like any other one in the world, have multiple agencies and interests, hence the need for dialogue with all groups. As with foreign intervention in Africa, the question of the N-word emerges, namely neo-colonialism. To put it bluntly, is the French intervention another attempt to cynically steal Africa’s resources under the flag of humanism? The conflict had actually been internationalized before France intervened. Many nationalities can be found within AQIM and MUJAO, both partly funded by international donors from the Arabic Peninsula. Speaking of clear French neo-colonialism thus seems exaggerated. But looking at the situation, it is obvious that Mali has not gone past colonialism. Even though I believe the French intervention was needed, it shows Mali’s complete incapacity to deal with the conflict. The army is divided. The government is weak. Mali has received decent amounts of foreign aid to “fight terrorism”, but what has happened to it? Only three weeks and 3000 French soldiers were needed to scare off the Salafist rebels from half of the country, which exposes the terrible state the Malian army is in. Now thanks to the former colonial power, Mali has recovered most of its national territory. The Malian government is applauding. So is the population. During colonialism, French authorities treated colonized populations like children. And now, many still behave like children who are asking for help. There is a direct legacy of colonialism. Of course, the social dynamics at play in African states cannot be compared to Western countries. France for instance had 1500 years to build its national identity. Mali just had 50. There’s also no denying the vested interests in the region, most notably gold, uranium and oil, which generate huge amounts of money while the population is starving. Has France come to Mali to “grab” these resources? Maybe. But it doesn’t change the fact that many African countries will not overcome old mentalities if they don’t draw the needed consequences from the past and start to build a better society. Obviously, the social behaviours are different and the people are different from other parts of the world. But these African countries have the potential and the resources. Whether they want it or not, they’re surrounded by people and corporations that are willing to take advantage of this. Some might argue that there is a global system that has been implemented so some African countries remain prisoners of it. And they’re right. But true statesmanship requires the ability to take risks and make courageous decisions, or no improvements will ever arise. Ask Thomas Sankara. Interesting perspective. Thank you for the nuanced analysis.